While having a relatively sedentary occupation has its benefits when it comes to bodybuilding and training performance, it also comes with its fair share of drawbacks. 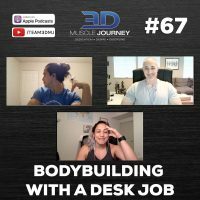 In today’s episode, Andrea, Jeff and Alberto discuss the various pros and cons of being a “bodybuilding desk-jockey”. Each of the coaches go through what their training and dieting strategies looked like previously, and how they’ve had to adjust these things to accommodate their new lifestyle change. 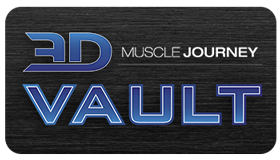 Topics covered include: caloric intake, mobility issues, training volume, preventative maintenance and more. Although the coaches cover numerous methods and behaviors they use to help mitigate the disadvantages of being desk-jockeys, their philosophy on the topic is quite simple: If you want to be a progressive athlete, you will find a way to make that happen.